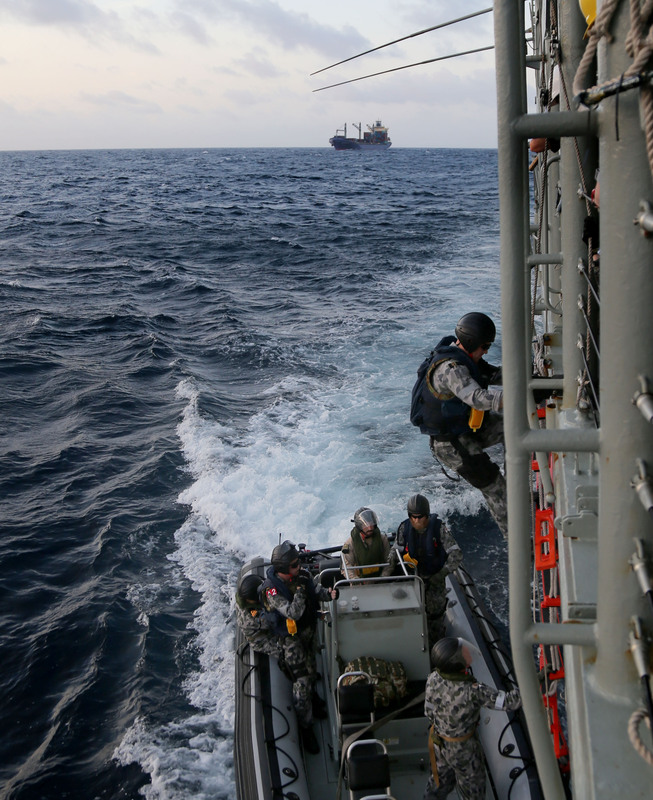 Her Majesty’s Australian Ship (HMAS) Melbourne, working for Combined Task Force (CTF) 150, came to the aid of a critically ill merchant seaman in the southern Arabian Sea. HMAS Melbourne’s Boarding Team including the Medical Officer return from providing emergency medical assistance to a critically ill mariner on board the merchant vessel City of Beijing (background). HMAS Melbourne was responding to a Safety of Life at Sea (SOLAS) call from the Merchant Vessel (MV) City of Beijing, which required life-saving aid for a critically ill seaman. 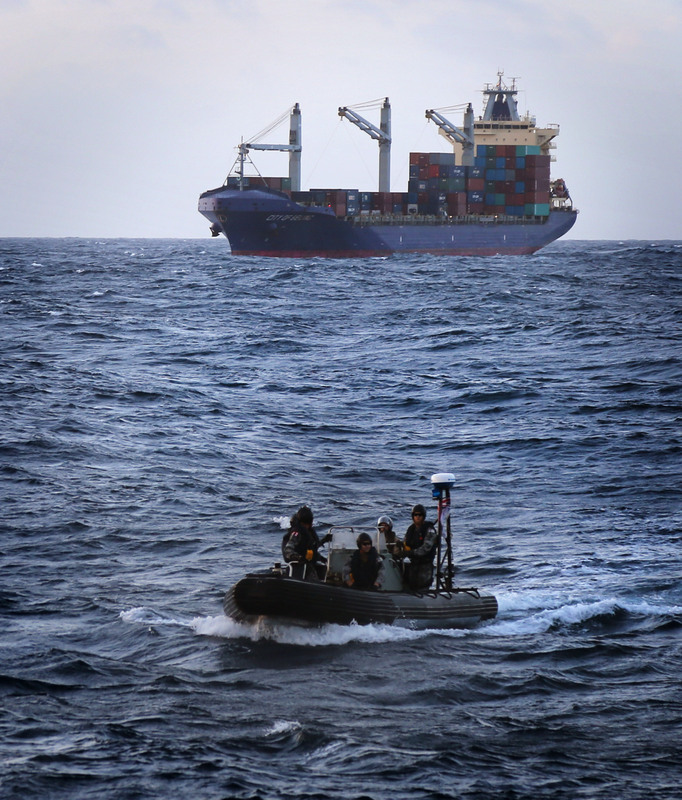 Moving swiftly through dark international waters, HMAS Melbourne rendezvoused with MV City of Beijing at first light on 20 September 2015, in the southern Arabian Sea, nearly halfway between the Horn of Africa and India. HMAS Melbourne dispatched her Medical Officer and several of her ships’ company in a sea boat, allowing them to board the merchant ship and to assess the patient. HMAS Melbourne’s Boarding Team with Medical Officer prepare to use the ship’s seaboat to cross to the merchant vessel City of Beijing (background) and assist a critically ill mariner onboard. 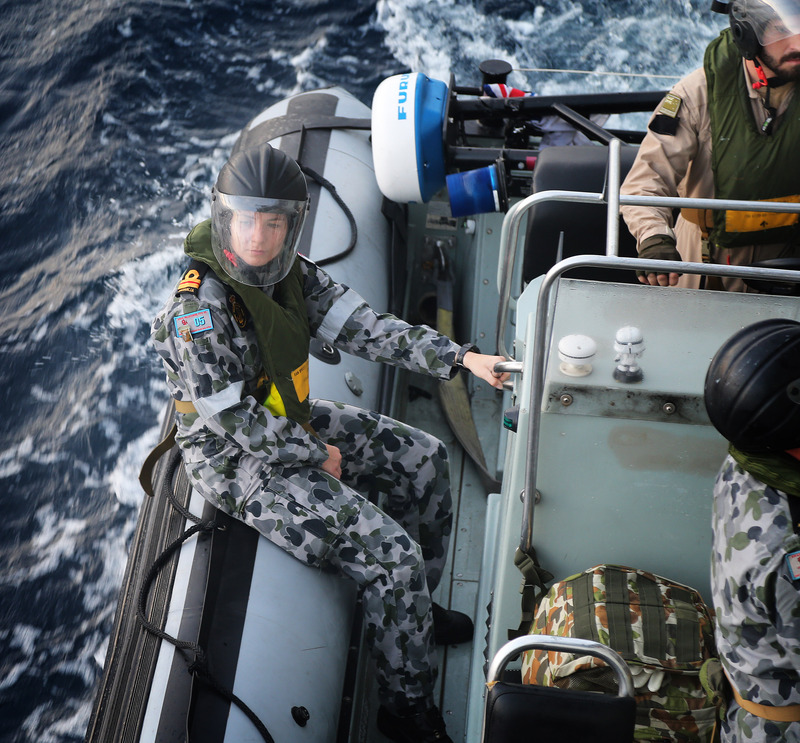 HMAS Melbourne’s Medical Officer, Lieutenant Tenille Chapman waits in the seaboat while the Boarding Team embarks. They are heading to provide aid to a critically ill mariner on board the merchant vessel City of Beijing. MV City of Beijing is now making best possible speed to Mumbai, and HMAS Melbourne has returned to conduct maritime security operations patrolling with the multinational Combined Maritime Forces (CMF).